Celebrate your birthday in style with our Legendary Birthday Party package. Starting at $25 per person (10 person minimum), you’ll receive the great seats to see the Legends play, video board recognition, party favors, front of the line access to the player high five fan tunnel, a legendary gift for the birthday guest as well as Hot Dog, Chips and Drinks for every person at the party. Celebrate in style with a private table (included) on the concourse over looking all the action at Dr Pepper Arena. 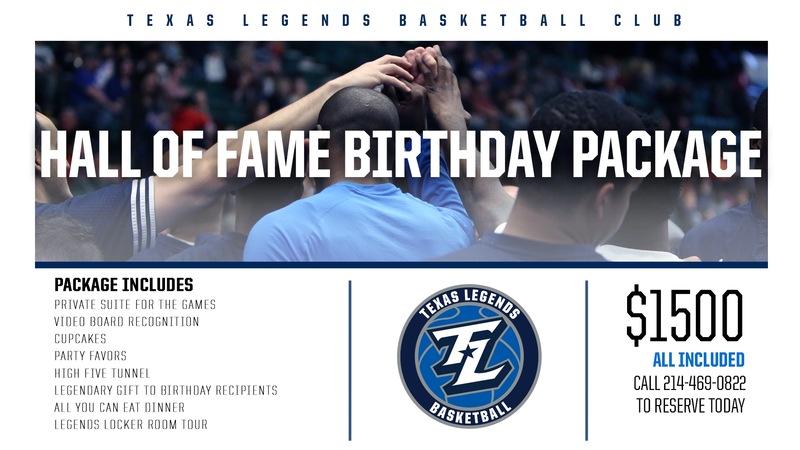 Call 214-469-0822 or email info@texlegends.com for more information on a Legends Birthday Party. Celebrate your birthday in style with our Hall of Fame Birthday Party package. Starting at $1500 (All Inclusive for up to 18 guests), you’ll receive the a private suite to see the Legends play, video board recognition, party favors, front of the line access to the player high five fan tunnel, a legendary gift for the birthday guest as well as an All You Can Eat Dinner for every person at the party. Celebrate in style with a private suite over looking all the action at Dr Pepper Arena. 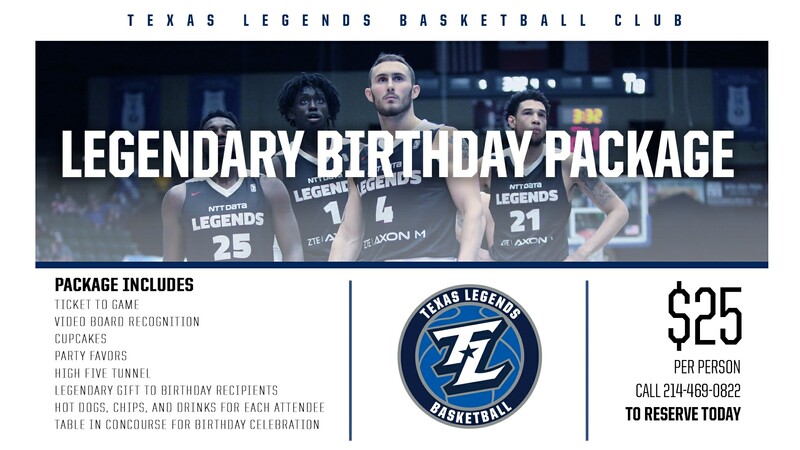 Call 214-469-0822 or email info@texlegends.com for more information.